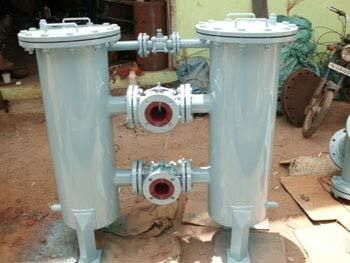 We are manufacturer and exporter of Duplex type strainers. which will be used in the pipe lines and capital equipments to filter the foreign particles. Our Products are widely accepted in the international Market mainly Chemicals, Petrochemical, Power, Refinery, Bulk Drugs and Pharma, Sugar, Food and Brewerages, Defence, Automobile, Water and Waste Water Treatment Projects.